It’s 1875. The Civil War’s dead and buried. Pistols fire single-action, so you’ve got to fan the hammer if you want to shoot faster than you can spit. The beer’s warm, vengeance cold, and at night things creep around that ought not to be upright. The world presented herein has not been sanitized for Saturday matinees. There’s enough blood and guts to fill a horror movie, because that’s what the Weird West is: supernatural horror, mixed with the familiar elements of cowboys, stretches of desert, and sneering gunslingers who can kill in a blink. The suggested area for the setting is Arizona. The resources below can provide useful inspirational and factual information. 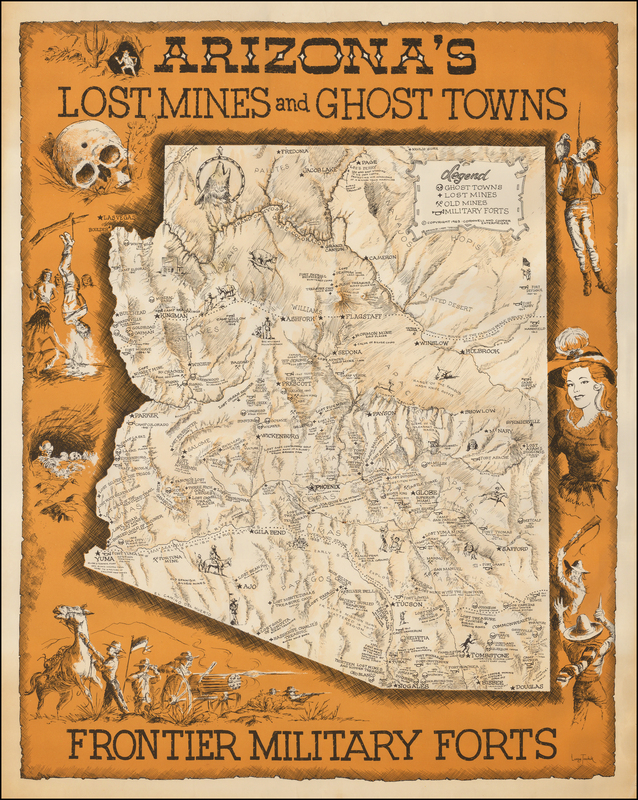 A 1963 map of Arizona's lost mines, ghost towns and frontier military forts.